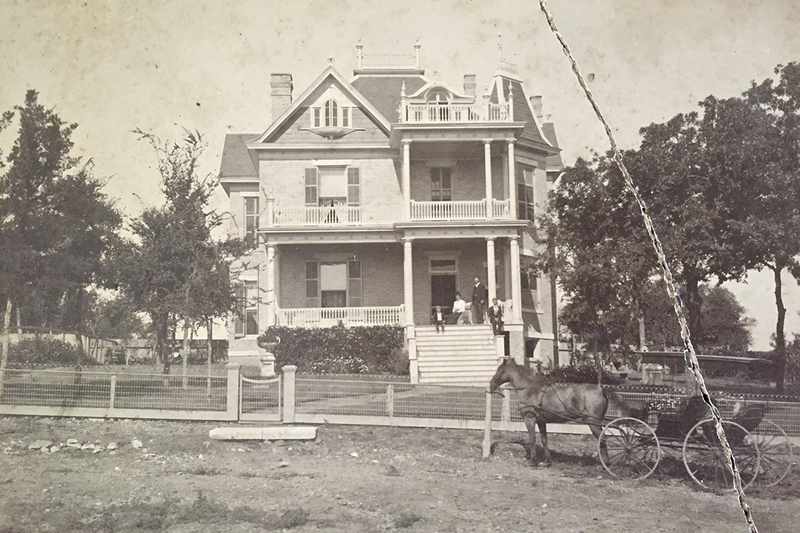 The John Otto Buaas House is one of the older and grander homes within the boundaries of the Castle Hill Local Historic District. 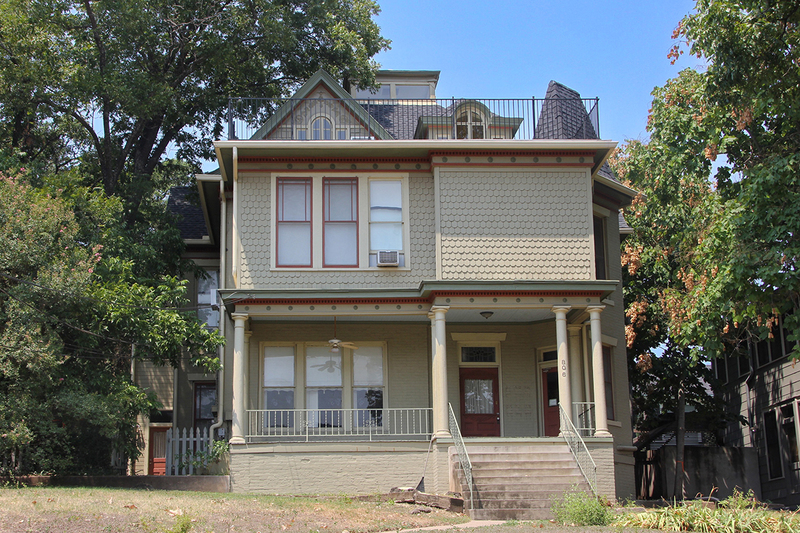 Named for the Victorian-era “castle”, built in 1870 for the Texas Military Institute, this district to the northwest of 6th and Lamar is a diverse mix of homes from the early 20th century. J.O. Buaas was a native Austinite, and grew to become an accomplished businessman and contractor. In 1884 his company manufactured the first copper roof for the Texas State Capitol. The architectural details in his home on Baylor, built in 1905, reflect the wide variety of materials he had available as a result of his trade. This home was subdivided into 6 different apartments by the time the current owner purchased the property in 2015. Porches had been enclosed, and many architectural details had been stripped or modified. In the restoration of this home, O’Connell Architecture is focused on identifying, resourcing, and recreating many of the original exterior features and finishes based on historic photographs and physical evidence. 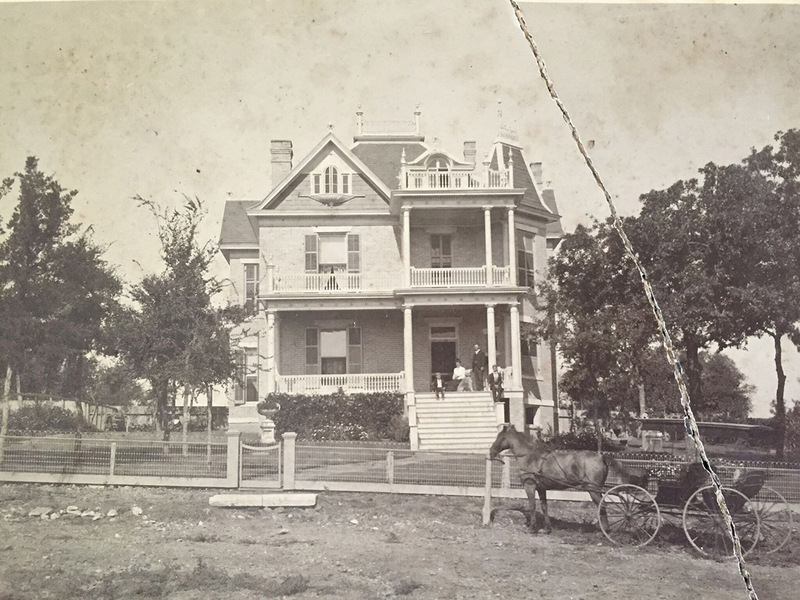 In fact, Tere used Facebook to find a descendant of the original family, who provided the historic photographs that have proven essential to the restoration of the house. The materials and trades needed for this work are rapidly diminishing, but in working with the J. Pinnelli Company, we are finding the best craftspeople to complete this work. Energy efficiency and thermal performance are also an integral part of this work. The Pinnelli Company is carefully removing the brick veneer to install a new insulation system and vapor barrier in the walls, and the roof deck will be fully insulated before a new slate roof is installed. When the restoration is complete, we intend to hold up the historic photo and see the view recreated before our eyes.